When we are in Phnom Phen, one of our favorite places to pop in for lunch is The Shop Café and Bakery. The Shop is a delightfully cozy café on one of Cambodia’s leafy little shopping streets. 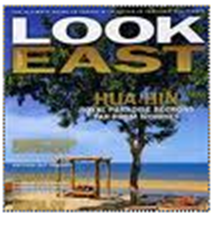 Its combination modern yet rustic décor makes it the prefect place to retreat from the hustle and bustle of Phnom Phen. In fact, it reminds us a little bit of a California sandwich shop….airy, light, with loads of fresh ingredients. And I think this is the secret to The Shop’s popularity…the quality and fresh, clean flavors transform visitors into dining regulars. When we visit we like to savor refreshing lemonades, creamy fruit smoothies, perfectly prepared cappuccinos and Mediterranean-inspired sandwiches on freshly made, thick-cut breads. Also, don’t miss the quiche, pizza and focaccia breads. And while the food is in fact delicious, what is most impressive is the endless assortment of tantalizing pastries and sweet treats. We often marvel at the pastry counter for a full 10 minutes before we were able to make a choice. Try a mini fruit tart, pain au chocolate or a seriously fudgy brownie with a steaming cup of café au lait. You will soon understand why the Shop Café a Bakery is not to be missed when visiting Phnom Phen. Probably the best place in PP to have a coffee with great real belgian chocolates and patisserie !